Irregular summer visitor. Breeding is suspected but no nests found to date. Africa in April and May and leaving again in September and October. 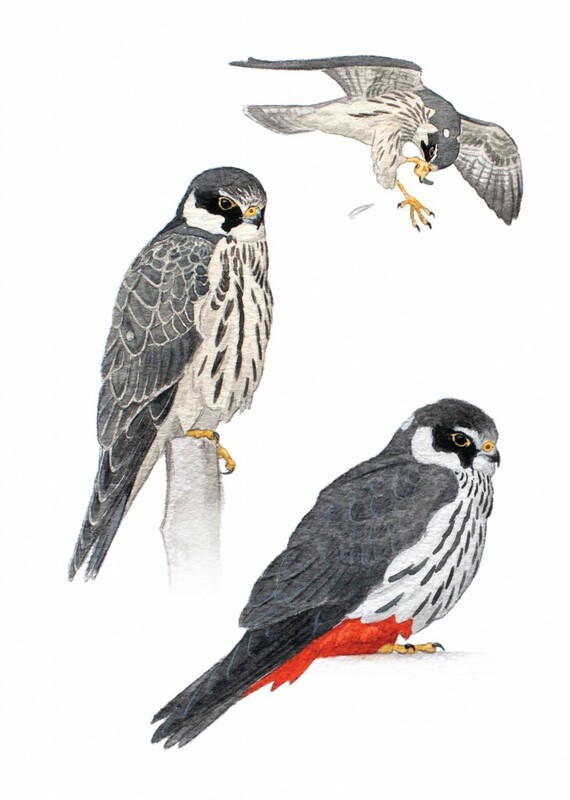 An exceptionally agile hunter, it preys predominantly on dragonflies and small birds such as swifts, martins and swallows, regularly catching its prey on the wing and consuming it in flight. The Hobby often utilises old crow nests for breeding. Typically a lowland species and commonly seen hunting around gravel pits and other wetlands where there is abundant prey.